Our standard menu has nine flavored macarons, ranging from chocolate-y goodness to savory fruits and caramels, ready to order no matter the season. Don't see your favorite flavor listed? Check our Past Flavors menu below or send us a message with your request. We'd love to hear from you! 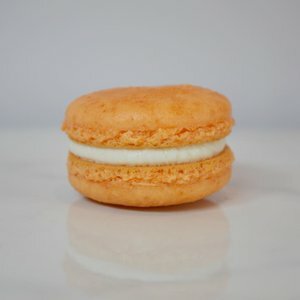 VANILLA-ALMOND MACARON: a vanilla-almond macaron with a vanilla-almond buttercream. 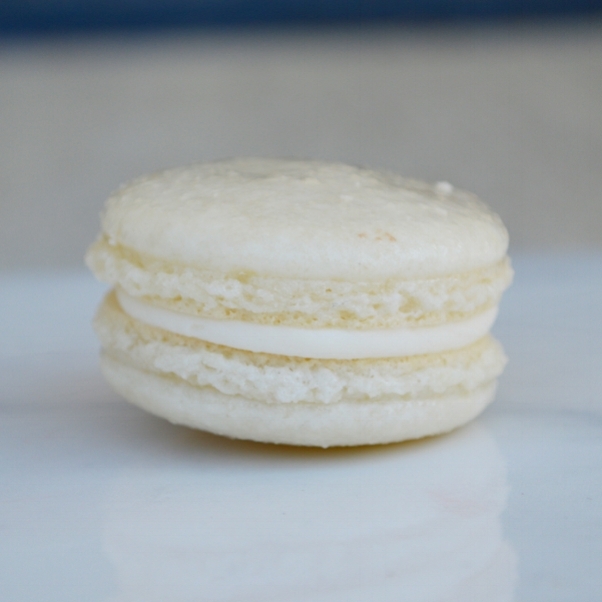 This macaron is gluten free. 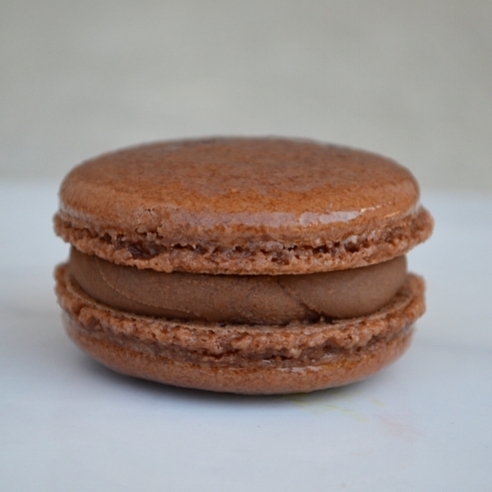 CHOCOLATE GANACHE: a dark-chocolate macaron with a smooth chocolate ganache filling. This macaron is gluten free. 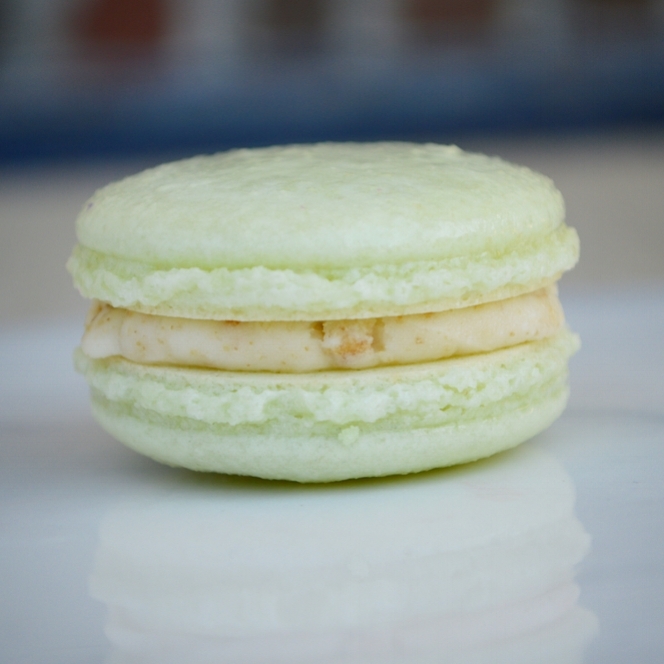 LEMON MACARON: a lemon macaron with a zesty lemon buttercream. This macaron is gluten free. SEA SALT CARAMEL: a salted caramel macaron with a home-made glossy caramel filling and topped with a dark chocolate drizzle and sea salt. This macaron is gluten free. Chantilly Cake Macaron: Our classic almond shell with a whipped Chantilly cake cream and fresh fruit. Gluten-free. WEDDING CAKE: an almond-vanilla macaron with Amaretto liquor buttercream. This macaron is gluten free. 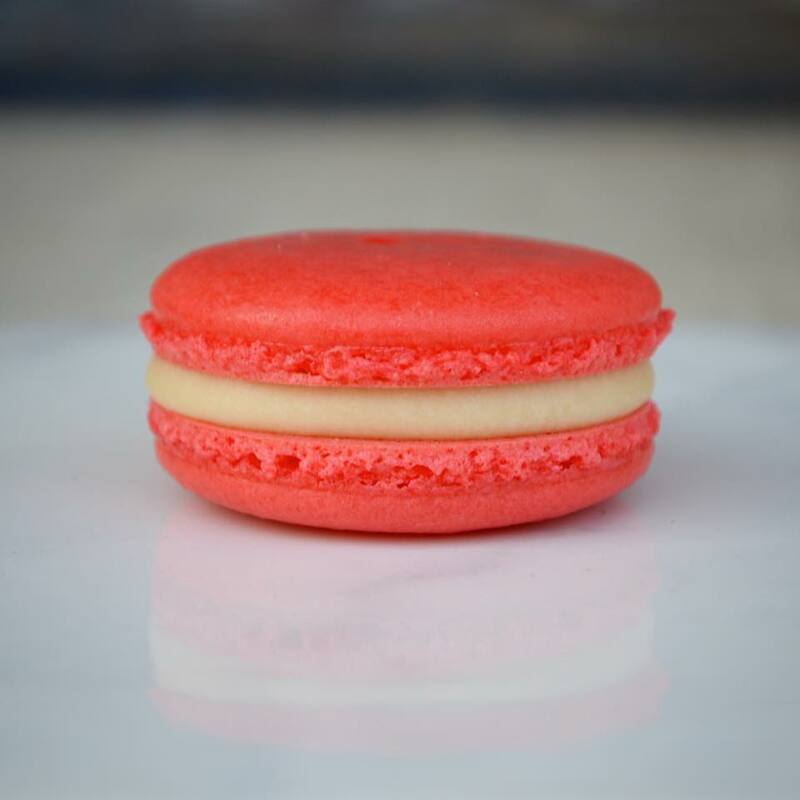 STRAWBERRIES & CREAM: our strawberry macaron filled with a Louisiana strawberry and cream buttercream. 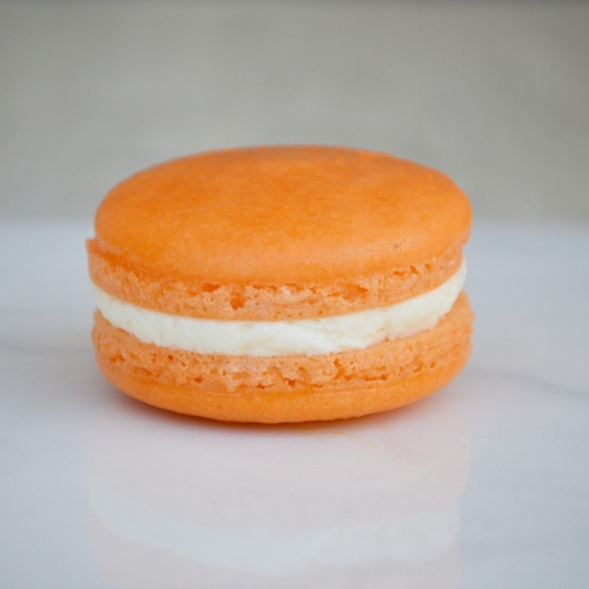 This macaron is gluten free. Our featured flavors from past seasons are available as custom orders for an additional custom fee. Contact us to learn more! 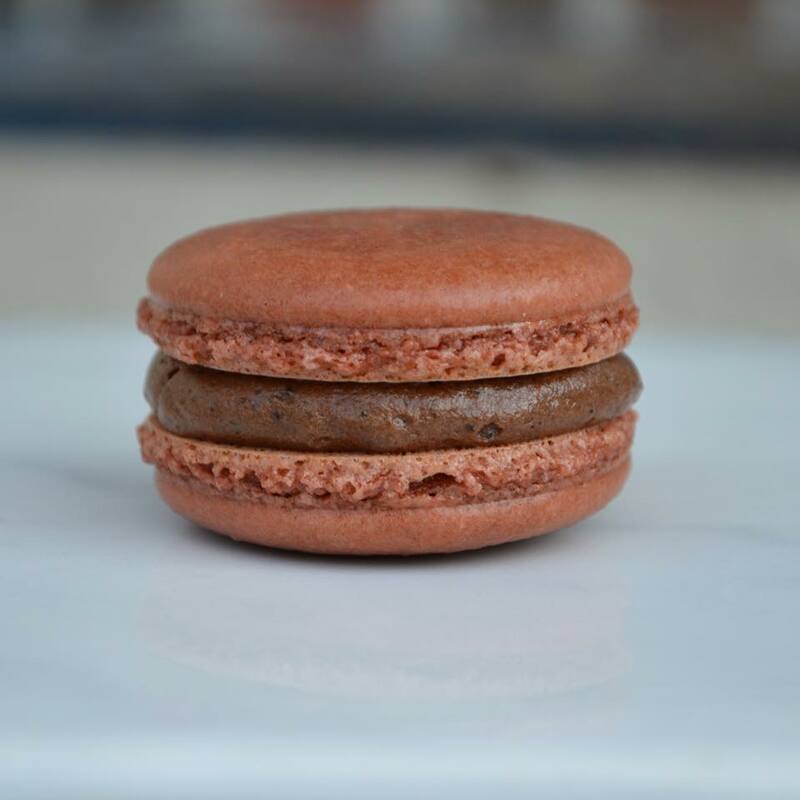 Chocolate Hazelnut butter sandwiched between two ballerina pink and glittered shells.